November and the start of December have been a whirlwind of trips, our most recent being a weekend getaway to Milan. I’m sure you’ve noticed that I’m WAY behind on blogging, so instead of my usual pre-publishing of my trip planing post, this is coming late, after we’ve returned home. 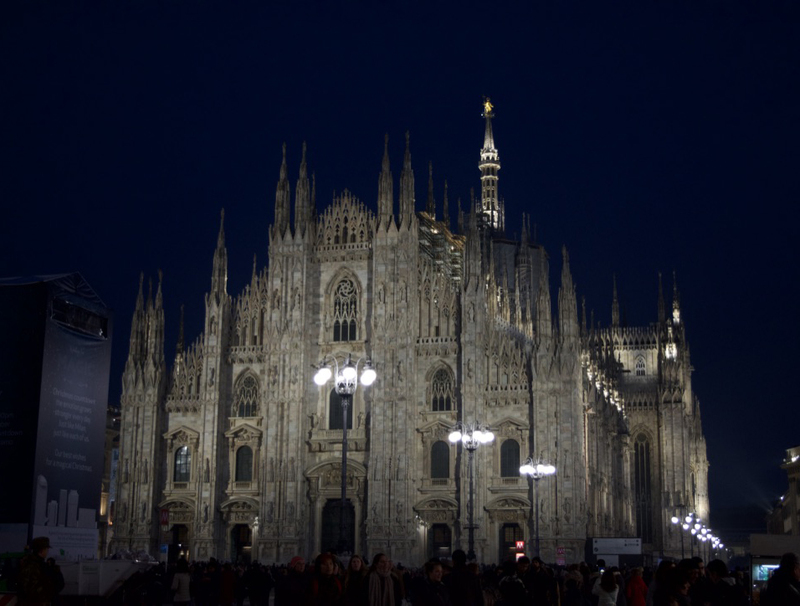 Hopefully, you don’t mind the late publishing and can still use my Milan tips for planning your own trip to this fashion capital. With J and I being serious coffee lovers, the main purpose of our weekend getaway to Milan was to attend the Milan Coffee Festival. I first learned about the Coffee Fest back in 2015, when Amanda from Rhyme and Ribbons’ shared her experience at the London Coffee Fest. Since then, I’ve been on the lookout to attend a Coffee Festival near me—>Enter the Milan Coffee Festival the first weekend of December. I’ll be sharing more about the Milan Coffee Festival soon, but it was such a fun experience, and I’d love to visit a Coffee Festival in another city in the future. When I visited Milan pre-kid, which now seems like a millennium ago, I had the most amazing licorice gelato at Cioccolat Italiani. Unfortunately, they didn’t have licorice this time around, which was dissappointing. Don’t you hate when you revisit somewhere and it doesn’t live up to your memories? Something that did live up to my memory, though, was a panzerotti at Luini. The line wraps around the block at lunchtime (I promise that it moves quickly). My recommendations are to order two per person: the pesto (fried) and mozzarella with tomato (baked). Though there is an Eataly here in Florence, the one in Milan is amazing, with several floors and specialty food from all over the country. I highly recommend you visit if you’re in Milan. I was really hoping for a Christmas market (or several) to be already open in Milan, but alas, the markets open mid-December. If you happen to be visiting, this website has a massive guide of the Christmas markets in Milan. In lieu of the Christmas market, we tried to catch some holiday cheer at the Etsy Made in Italy Milano market. I was not nearly as impressed by the goods at this market as those in Vilnius—the Baltics definitely win in the handicrafts department. If you need a hotel suggestion, we stayed in Hotel Cervo Milano*, which is a budget option with friendly staff, a decent breakfast, family room options, and is in a convenient location. And stay tuned for more posts in the coming weeks with a guide to Siena, a review of the Milan Coffee Fest, and some exciting news!